Losing a loved one to cancer can be extremely difficult, this can be even worse if the cancer death was caused by a defective drug that caused the cancer. Recent scientific evidence has shown that some drugs may cause an increased risk of bladder cancer, pancreatic cancer, and thyroid cancer. If you have lost a family member to cancer and believe the cancer death was related to use of a defective drug or product, it is important to make sure that the death is properly investigated and if linked to a defective drug, properly reported to the FDA. For questions about a Defective Drug Cancer Death Lawsuit or Defective Product Cancer Death Lawsuit, please feel free to send an e-mail message to Texas Cancer Death Lawyer Jason Coomer with your name & contact information or use our online form for a free case evaluation. As a Texas Cancer Death Lawyer, Jason S. Coomer works with families that have lost a loved one from defective drugs and products that cause cancer. In working with these families, he investigates and reviews pharmacy records, medical records, death certificates, and autopsies to help determine if a defective drug or product was the cause of a person's cancer and death. He started working on product liability cancer death lawsuits while he was in law school working at a large asbestos law firm. He reviewed many cancer death lawsuits that went to trial and received large verdicts. Since becoming a lawyer in 1995, he has worked with many families and other cancer death lawyers on product liability cancer death cases. Actos has been prescribed to more than 10 million Americans since its approval for the treatment of type 2 diabetes. The popular diabetes drug, Actos, manufactured by Takeda Pharmaceutical Co, has been linked to increased risk of bladder cancer and has been pulled off the market in some European countries. Actos is now under review by the FDA to determine if it will be pulled from the market or additional black box warnings will be added to the drug. Actos is a diabetes drug with global sales of approximately $4.8 Billion each year. Recent scientific evidence has recently shown that the Diabetes Drug Actos may cause an increased risk of bladder cancer. If you have suffered bladder cancer or have lost a person that you love from bladder cancer and you or your loved one was taking Actos, please feel free to e-mail Texas Actos Bladder Cancer Lawyer Jason Coomer with your name & contact information or use our online form for a free case evaluation. As an Actos Bladder Cancer Lawyer, Jason S. Coomer, helps families that have lost a family member from bladder cancer. For more information on this topic, please go to the following web page on Actos Bladder Cancer Lawsuits. The diabetes drugs, Januvia and Janumet, may cause an increased risk of pancreatic cancer in patients using Januvia. If you have lost a loved one from Pancreatic Cancer, please report the adverse action to the prescribing medical doctor as soon as possible. As an Januvia Cancer Death Lawyer, Jason S. Coomer, helps families that have lost a family member from cancer including pancreatic cancer. For more information on this topic, please go to the following web page on Januvia Pancreatic Cancer Lawsuits and Janumet Pancreatic Cancer Lawsuits. The consumer group, Public Citizen, has filed a petition with the Food and Drug Administration (FDA) requesting that the agency immediately remove the diabetes drug, Vicoza, from the market the increasingly prescribed diabetes drug Victoza (liraglutide [rDNA origin] injection) because it puts patients at higher risk of thyroid cancer, pancreatitis, serious allergic reactions and kidney failure that outweigh any documented clinical benefits. Public Citizen claims that the diabetes drug, Victoza, has a number of possible side effects including pancreatic cancer. This side effect is extremely dangerous, because once a person has pancreatic cancer and that cancer spreads, a patient stands just a 1.8% chance of surviving for longer than five years. If you have lost a loved one from Pancreatic Cancer or have suffered acute pancreatitis, hemorrhagic pancreatitis, accute necrotizing pancreatitis, or pancreas cancer; and have been using Victoza or another diabetes drug, please report the adverse action to the prescribing medical doctor as soon as possible. For more Victoza Pancreatic Cancer Lawsuit, Victoza Cancer Death Lawsuit, or Diabetes Drug Pancreas Cancer Lawsuit information, please feel free to contact Victoza Pancreatic Cancer Lawyer, Victoza Diabetes Drug Cancer Lawyer, and Victoza Pancreas Cancer Death Lawyer Jason Coomer a Texas lawyer, or use our online submission form. For more information on this topic, please go to the following web page on Victoza Pancreatic Cancer Lawsuits and Victoza Cancer Death Lawsuits. 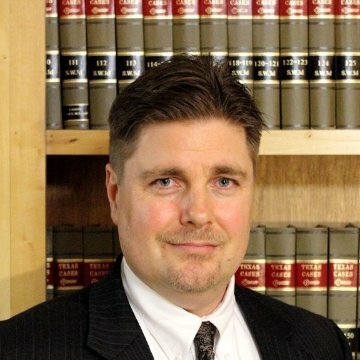 Texas Dangerous Drug Attorney Jason Coomer commonly works with other lawyers throughout Texas, the United States, and the World including Houston Cancer Death Lawyers, San Antonio Cancer Death Lawyers, Dallas Cancer Lawyers, New York Diabetes Drug Cancer Lawyer, Chicago Diabetes Drug Cancer Lawyers, and other Texas Cancer Death Lawyers. By sharing information and working together, his law firm and other firms throughout World are able to provide better representation for their clients. If you have lost a person that you love from cancer including bladder cancer or prancreatic cancer and your loved one was taking a drug that might have caused the cancer, please feel free to e-mail Texas Cancer Death Lawyer and Texas Diabetes Cancer Lawyer Jason Coomer with your name & contact information or use our online form for a free case evaluation.